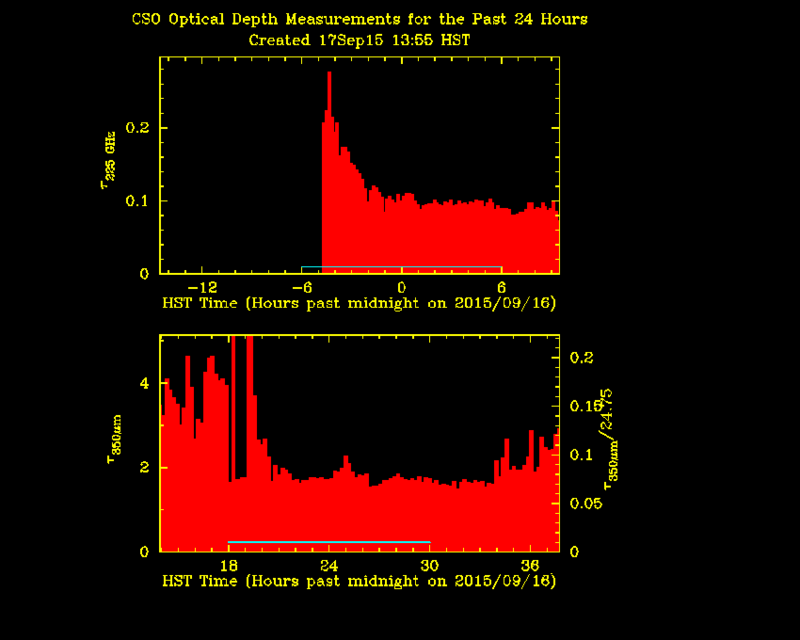 Zenith optical depth at 225 GHz and 350 µm measured by tipping radiometers at the CSO. Plot updates every 15 minutes. The CSO is operated by the California Institute of Technology.